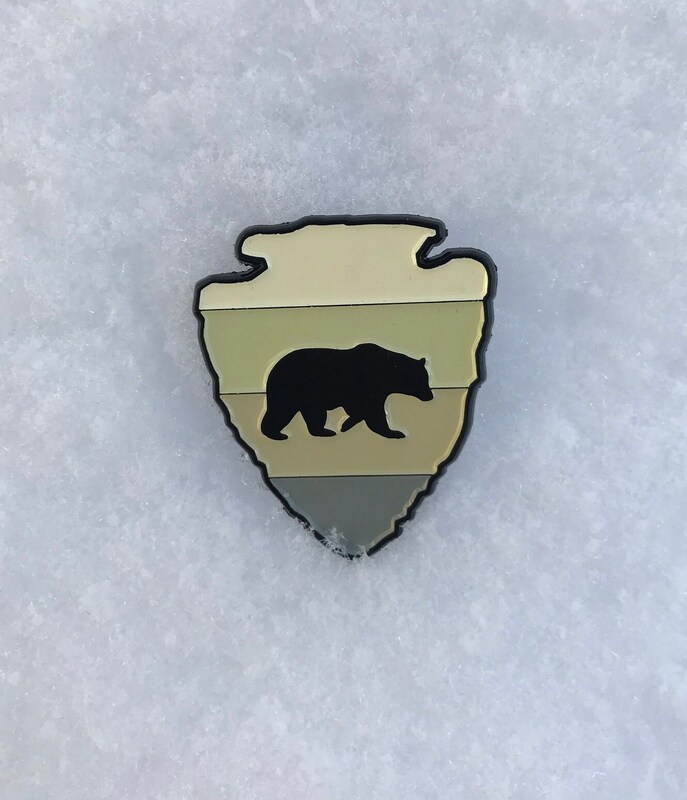 This bear on an arrowhead is our second enamel pin design! Clean and simple. Soft enamel, 1.5" tall and 1.25" wide. Only at Parks Supply!